©Instagram/Offset Cardi B and Offset in better times. Cardi B and Offset start the year with good intentions. The two rappers would do everything to save their marriage. According to the TMZ entertainment website, based on sources close to the couple. In December Cardi B put her husband at the door for adultery. 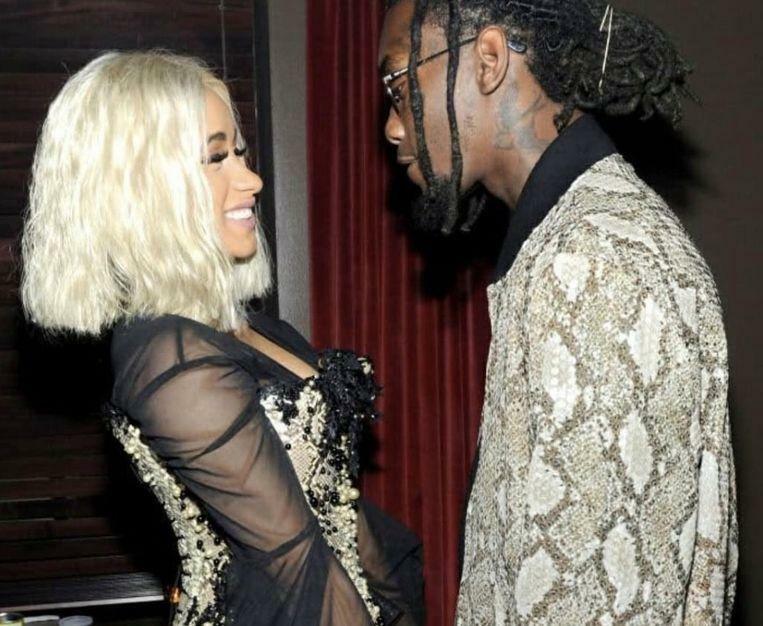 Offset, real name Kiari Cephus, would now have promised his loyalty and honesty, reports TMZ. Cardi B, who is actually called Belcalis Almanzar, seems indulgent to the promises and plans to take it back. The two have regular contact again and would do anything to make their relationship work. The glue attempt does not come from scratch. Several media reported in December that the two wanted to celebrate Christmas together to have their daughter experience a first Christmas with both her parents. In addition, the couple in Puerto Rico was spotted together on a jet ski. Offset showed repeatedly that he regrets his misstep. At the Rolling Loud Festival in LA he interrupted the performance of Cardi. He came up the stage with a banner with the words ‘take me back Cardi’ and had a gigantic bunch of flowers. He apologized while the whole room listened. “I just wanted to say personally that I’m sorry. Whatever I have to do to make it clear that I love you”, he says. Then Cardi did not respond to his advances, but in the meantime, she is already thawed a bit.